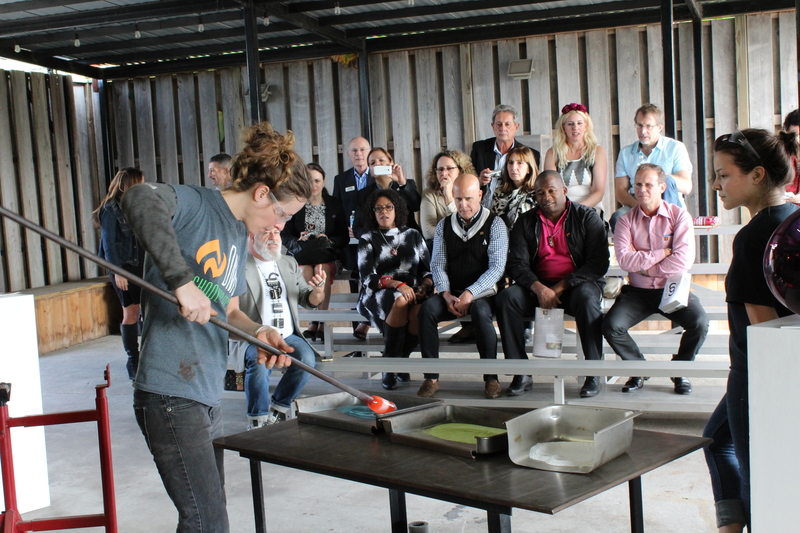 A multi-faceted program providing opportunities to educate and inspire personal growth through the medium of glass art. “Arts education has a measureable impact on at-risk youth …..(it) increases test scores across every subject area, lowers dropout rates and helps close the achievement gap regardless of socio-economic status”, reports the Department of Justice, CAAE study. The generosity of individuals like you have enabled DMG to provide this unique educational experience to over 20,000 children and adults since 2013. We encourage you to Get Fired Up ! for art, and the future of our community. 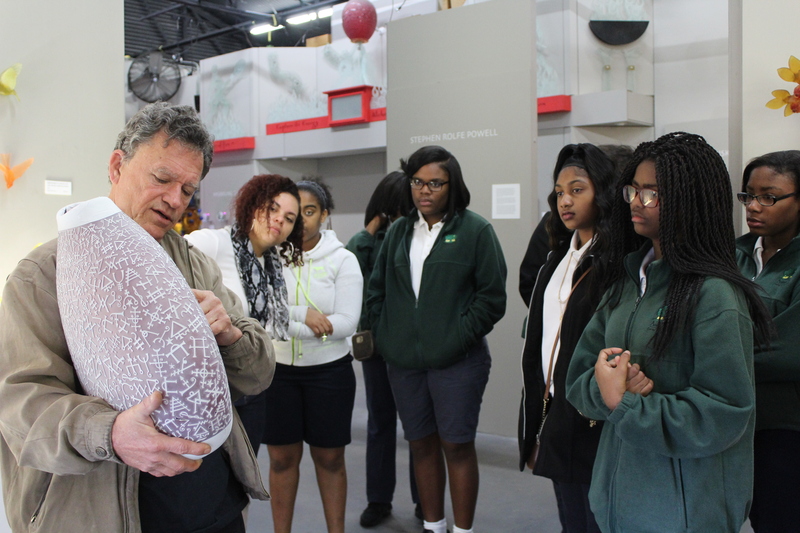 DMG Youth Development Program partners with educators to present a curriculum combining art, history, geology, chemistry, math, critical and creative thinking. As a Vendor of Education for the Pinellas County Schools, DMG School Project provides each student with classroom instruction, an educational tour, glass­blowing demonstration, and the ability to produce a glass art object of their own creation. 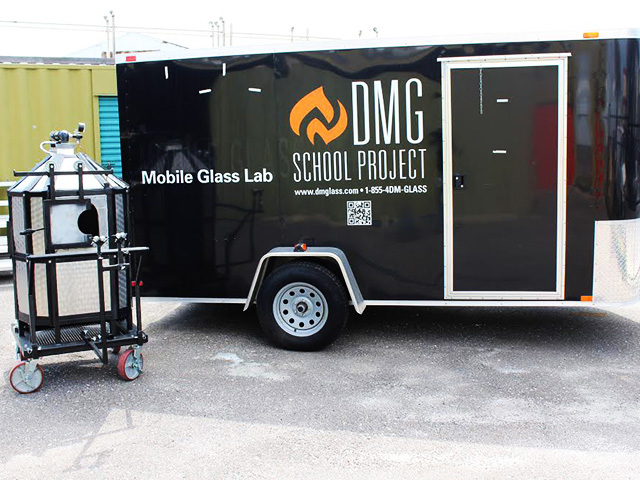 DMG Mobile Glass Lab includes a hot glass furnace and glass etching equipment. The Glass Lab takes this unique creative art experience to the public, at schools, cultural festivals, or private events. The mobile facility can introduce hot glass art and glass etching to a diverse population who otherwise would not be able to experience glass as a creative medium. The program may be customized to accommodate children, seniors, developmentally challenged individuals, or adults. DMG Artist-­In-­Residence Program makes it possible for emerging and mid-career artists to receive the collaborative and creative support they need to develop new bodies of work. Residencies vary from one to three months, during which time the artist is supplied with all materials and unlimited use of the St. Pete HotGlass Workshop and etching facilities. This allows the artist to stretch their creative boundaries. The mentoring process includes technical assistance, marketing and business management, and the opportunity to present a museum lecture. “Hot Gatherings, Cool Conversations” Lecture Series introduces the public to the artistic process of the DMG St. Pete HotGlass Workshop visiting artists. 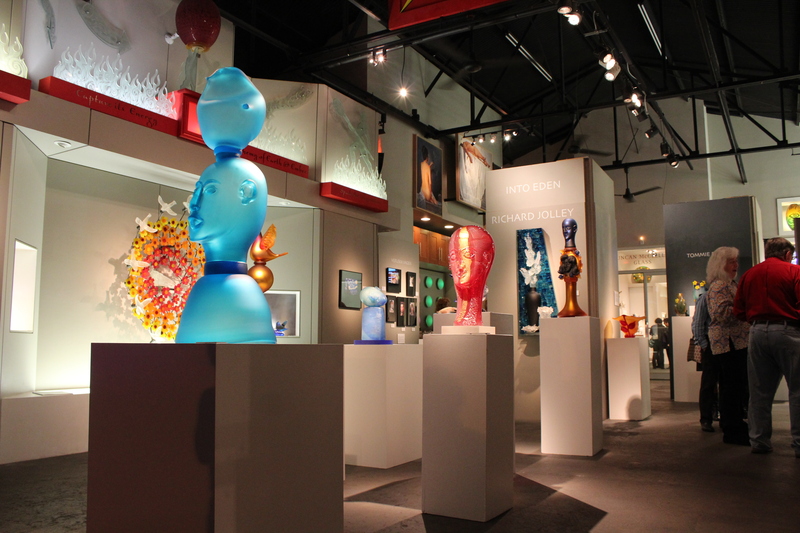 A presentation and discussion with each artist allows participants the unique opportunity to better understand the complexities of creating glass art. Each one­hour lecture brings art lovers, collectors, novice and advanced artists from across the region.